When you travel to Port-Vendres, be prepared for your imagination to kick into over-drive. Charming red roofs and stone buildings will invite romantic notions about how life once was in this important commercial port. As the key to many ancient routes, Port-Vendres has been welcoming travellers for hundreds of years. The tradition goes back to when the Romans named it Portus Veneris after Venus, the goddess of love, and her temple offered good fortune to mariners. Or simply hang out in Port-Vendres and enjoy the local sights and perhaps a meal of fresh seafood like sea perch, tuna, or sardines paired with the region’s renowned Collioure wines, followed by a Banyuls dessert wine. In Port-Vendres, the main museum is the town itself. Wander the city center and explore the monuments of famed military engineer Sébastien Le Prestre de Vauban, as well as the permanent exhibition dedicated to Charles Rennie Mackintoshb at the Dome Gardens. Make sure you cap the day off with a tasting of the region’s renowned Collioure wines. Louis XIV was the one who ordered renowned military engineer of the time, Marquis de Vauban, to turn Port-Vendres from a legendary commercial port into a defensible naval base. The two remaining redoubts stand watch over the town, as they have through hundreds of years of naval history. Nestled into the Côte Vermeille, Port-Vendres is surrounded by a winding coastline of protected bays, beautiful little beaches, and hidden coves. Get a view from the vineyards of Banyuls in the hills above the coast, or take a good book to the beaches of Paulilles, a protected natural and historical site. Travel back to the Middle Ages with a full day in Carcassonne, heralded among the world’s most well preserved medieval towns in the world. 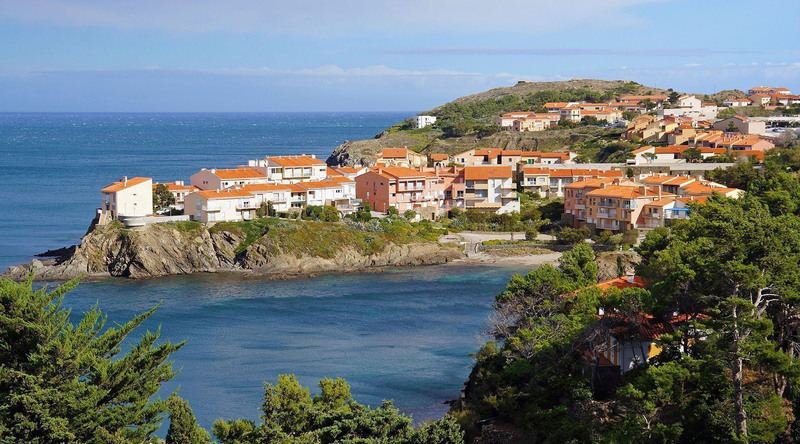 Travel to the very south of France to discover Collioure. Tucked away on the rocky coast, this picturesque village has inspired Picasso and other masters. Journey to the traditional Catalan town of Ceret, where the rustic streets lead to one of the world’s great collections of contemporary art.